InvoCare have surged over the past decade, but competition, lower volumes and greater price transparency threaten returns for investors. Nothing can be said to be certain,” Benjamin Franklin famously quipped, “except death and taxes. Such certainty has seen Australia’s largest funeral services provider, InvoCare make a killing by delivering high growth annual returns for the last decade. InvoCare was created in 2001 as part of a divestment by Service Corporation International who sold an 80% stake of their Australian funeral division to a consortium led by Macquarie Bank. In 2003 InvoCare was floated on the Australian Securities Exchange with shares debuted at $1.89, a 2 per cent premium on their issue price of $1.85. At the time of the listing, InvoCare conducted 21 per cent of the nation’s funerals and owned the chains Simplicity and White Lady Funerals. Since listing in 2003, Invocare now contol more that 34 per cent market share, have over 290 funeral locations and 16 cemeteries and crematoria that span across Australia, New Zealand and Singapore. InvoCare’s share price last traded on the ASX on 8 May at $14.77. Despite these profits, death care companies still seem like investments for investors to maintain in their share portfolio. And, with InvoCare and Propel Funeral Partners controlling over 40 per cent market share, these big funeral chains can divert their considerable cash flow into acquiring more and more small independent and family owned funeral homes, at the expense of grieving consumers. You only have to observe, the recent events impacting on Dignity PLC, in the UK to see future risks. Dignity, the largest publicly listed funeral company in the UK had a similar share-price performance to Australia’s largest public listed funeral company. Then competition from a new rival, the Co-operative Group, offering cheap basic funerals forced sharp price cuts and greater transparency. Dignity shares plunged by 50% in a single session in early 2018 and are down by three-quarters from their 2016 peak. Although there isn’t an Australian operator similar to Co-op (not yet anyway), new disruptors like eziFunerals and the emergence of innovative independent funeral homes has seen more and more consumers shopping around for the best deal, and putting pressure on funeral prices. A rise in no attendance cremation, which are considerably more cheaper than a simple funeral service, is also hurting funeral service profits. Chapter House Funerals, founder and chief executive, Troy Upfield believes consumers today are much more informed when it comes to the funeral industry and he has noticed a shift to smaller family owned funeral homes. ‘Chapter House Funerals is a small family owned businesses that provide real value for money when compared to the large corporate brands’, he said. ‘Consumers understand that it is common practice for staff of multiple brands to swap ties, scarves and magnets on the side of hearses in between funerals to represent the brand to which you made the ‘first call’. If you contact some well-known corporate funeral brands, you are likely to get the same person, lead company, staff, hearse, and service, just a different brand with a separate marketing budget, he says. 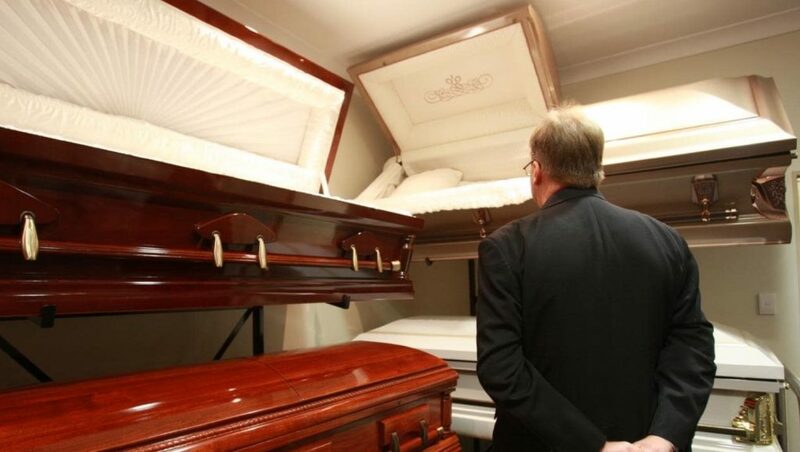 What should be of even more concern for investors in Australia, is the launch of an investigation into the funeral industry by the Competition and Markets Authority (CMA), in order to combat allegedly unscrupulous business practices. Peter Erceg, owner and founder eziFunerals, which advocates for fair business practices in the funeral sector, says “The CMA investigation into the funeral industry, could flow on and impact on the Australian funeral marketplace”. I honestly think InvoCare and Propel Funeral Partners are terrified of that outcome,” he says. On paper, death care looks like a safe, growing business. That could be a grave miscalculation. Where is Australia’s Funeral Watchdog? eziFunerals supports individuals and families cope with end of life decisions, death and funerals. We are an independent, Australian-owned and operated company, and are not a subsidiary of any other corporation. We do not conduct funerals and are not part of any other funeral company.